Mission: To transform our world for the better through innovative technologies. This report details Oracle's positive impact in the areas of sustainability, education, giving, volunteering, and more. Oracle – Why Work For Us? Today, 430,000 customers in 175 countries use Oracle technologies to seize business opportunities and solve real, tangible challenges. Oracle has become the underpinning of all the internet services we take for granted today, such as Amazon and Expedia—and we’re always working on the next big thing. Oracle’s intelligent cloud applications, platforms, and infrastructure leverage the latest technologies and emerging ones—including AI, machine learning, Blockchain, and the Internet of Things—to create business differentiation and advantage for customers. We’ve set a new standard by developing the world’s first autonomous database, freeing up people to focus on what we do best: dreaming, innovating, and building. Continued technological advances are always on the horizon, and we invest heavily in R&D—US $6.2 billion in FY 2017—to stay at the forefront. We make strategic investments to train our people with the latest skills and technologies they need to create innovative solutions, delivering an average 3.4 million hours of employee training through Oracle University each year. And we seek to hire the best talent who want to help us innovate faster. Do you want to create the future with us? 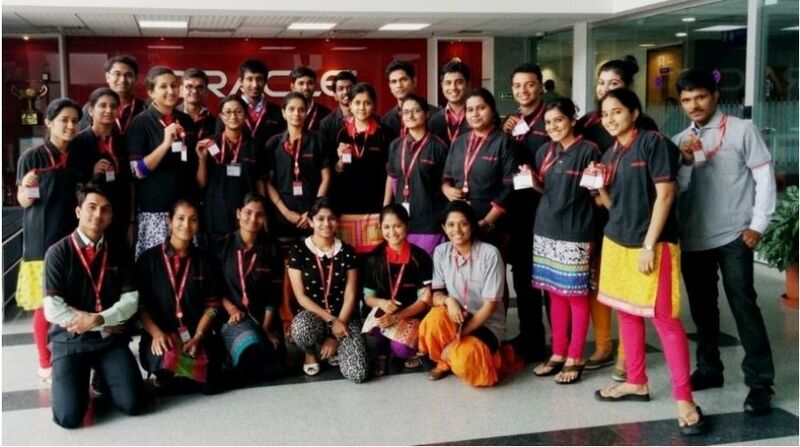 Explore careers at Oracle in India. All over the world, people’s lives are better because of the innovative thinking that happens right here at Oracle. From empowering small businesses like Kiva—who’s using Oracle NetSuite to serve over a million borrowers—to partnering with global leaders like MAS Holdings—who’s creating a safe, supportive working environment with Oracle Solutions—, the way we change lives is happening everywhere on a small and large scale. Good citizenship is in our Oracle DNA as much as innovation. From our annual cash donations of millions of dollars to nonprofits, to Oracle employees across 45 countries volunteering their time to our education initiatives like Oracle Academy—which makes computer science available to all students everywhere—, we’re proud to lead by example. Do you want to use your skills and passion to change lives? Find career opportunities to join Team Oracle. Reach your full potential by building a lasting and successful career at Oracle. We believe each career is unique, so we provide you with a supportive environment to achieve your personal career aspirations. Extensive Training: Have access to extensive training and resources to develop leadership and technical skills. Oracle University offers thousands of courses to employees, and approximately 5,000 Oracle employees attend these courses weekly. Inspiring Leadership: Join a unique community where some of the brightest minds in the industry provide thought leadership, creativity, support, ideas for success, and a strong network. Personalized Mentorship: Receive coaching as you define career success and meaning, based on your own personal values and stage in life. Hear what keeps Nitika inspired to reach new heights, and read more insights and career advice from our employees via our Explore Oracle Careers Blog. At Oracle you’ll find an entrepreneurial environment where you’ll be encouraged—even challenged—to pursue your greatest ideas. From our self-service culture to our open-standards philosophy, Oracle believes in equipping people with the best tools, and the freedom, to innovate in their own unique way. Our culture is much like that of a startup: we value creative problem-solving, open communication, and the belief that the next big idea can come from anyone. Yet we have the power, reach, and resources that come with being the #1 technology leader across categories and industries. Our offices in India reflect the inspiring and fun workspaces you’d envision from a tech leader: open collaboration, gyms, cafés, and game rooms. However, we encourage our people to have as much fun outside the office as they do within. We believe innovation truly comes from well-rounded, balanced people who can be themselves. Oracle’s innovation and competitive advantage depend on the talents, skills, and backgrounds of our employees. We celebrate diversity within our growing workforce, which spans four generations in more than 85 countries, and speaks 29 languages. It’s this diversity of thought and experiences what leads us to innovation; we foster a culture of respect, engagement, and connection for all our people. Employee communities such as Oracle Women’s Leadership help develop, engage, and empower our people, while STEAM initiatives and scholarship funding help educate, prepare, and recruit future tech leaders. Learn more about Oracle’s commitment to diversity and inclusion, and how we innovate through diverse perspectives. Oracle promotes employee health and wellness through a variety of initiatives such as health fairs, biometric screenings, flu shots, general health education, and the promotion of preventive care. Programs vary by country and region but align with Oracle's overall goal to support employee well-being. Work/life balance is not just a catch-phrase at Oracle. We value your well-being and we know exactly how to make you feel your best. Oracle employees can benefit from a range of services to promote personal health and wellness. Since entering India in 1987, Oracle has become one of India's largest multinational employers and a key player in furthering India's economic and technological rise. 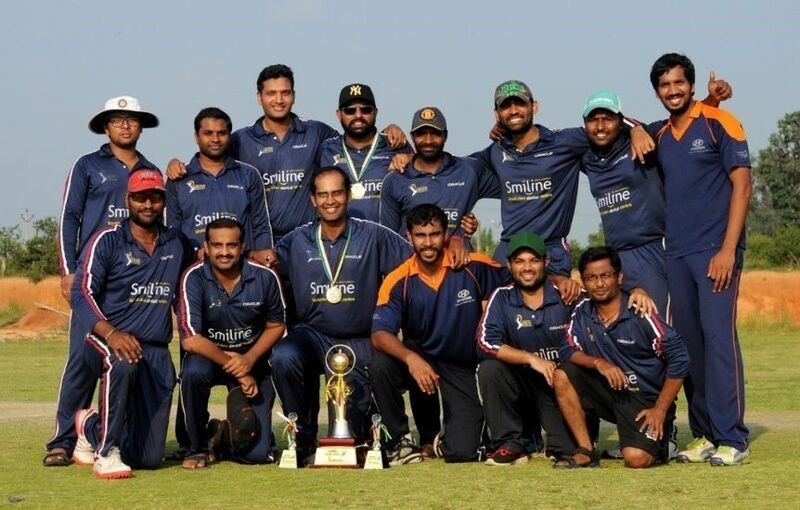 Learn more about Oracle's journey in India. Work & workstation is best in the world. No Downside. It is a good place to work. The process took 2 weeks. I interviewed at Oracle (Noida) in April 2015. Nice process, 3 Intw rounds with quick feedback. Questions were fairly based on Scenarios and my current skills. Glassdoor gives you an inside look at what it's like to work at Oracle, including salaries, reviews, office photos, and more. This is the Oracle company profile. All content is posted anonymously by employees working at Oracle.